Thanks to Cosmic Book News (via Ender News), we’ve got a great first look at Bonzo and Ender facing off. We’ve all noted and discussed the noticeable height difference between Moises Arias (Bonzo) and Asa Butterfield (Ender) in the past, and this still gives us some insight into why despite that difference, Gavin Hood chose Arias to be Ender’s nemesis in Battle School. Petra standing there seems a bit odd, though. 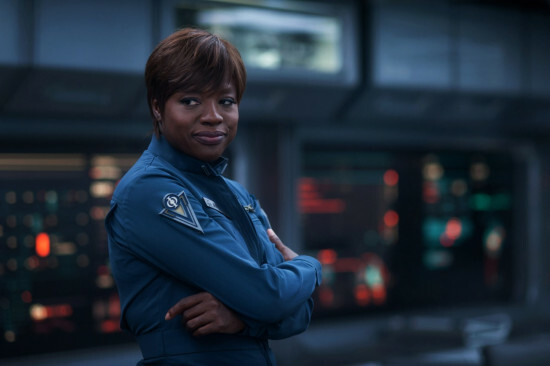 New photo of Viola Davis as Major Gwen Anderson. Is she smiling at something Ender’s said to Graff, perhaps? This one is particularly interesting, as you can see looks of sadness on Bean and Petra and Graff happily explains something to a troubled Ender. Is this the reveal in the end? Ender and Mazer at his simulator, with his team standing by below. 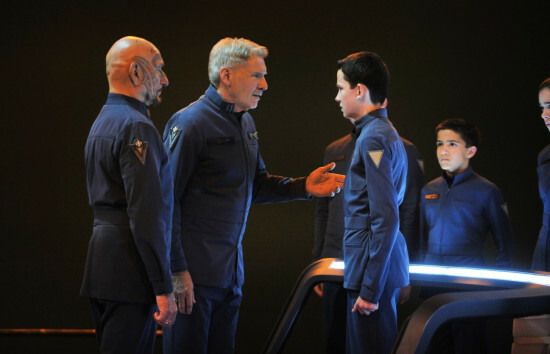 Ender stares at Graff as they prepare to travel to Eros. 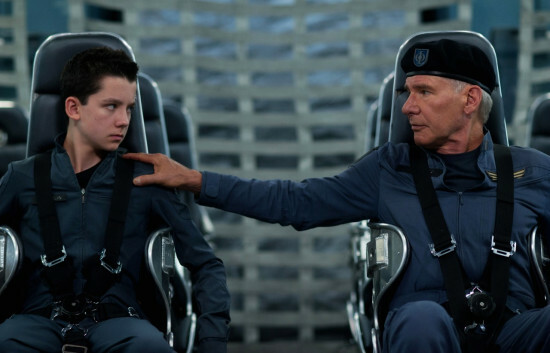 Ender with Valentine on Earth. This is a larger version of the image we saw in the calendar. 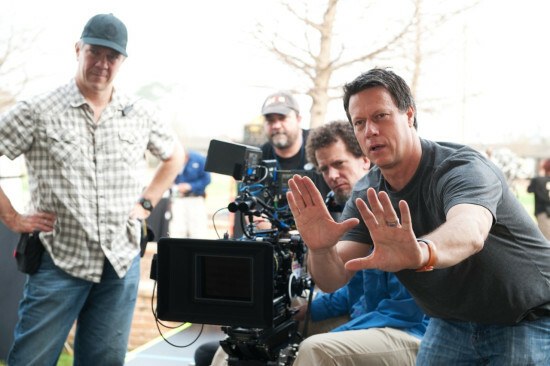 Gavin Hood directing. He’s outdoors during the day, so this is presumably while filming the lake scene. 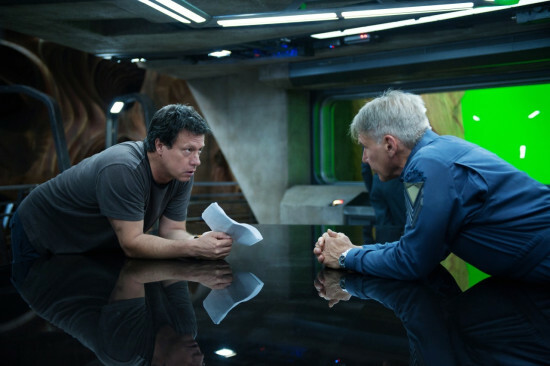 Gavin Hood talks to Harrison Ford on the Eros set. Ooh, it’s the shoulder touching scene! I think that’s the one Card talked about, the one he saw them film when he visited the set. That’s the first scene that we ever had described to us, so I have been imagining it for quite a while. Looks awesome – Graff trying to be friendly, Ender going “yeah right, now stop touching me”. Also, is it weird that Moises Arias’ arms are the one thing in that first image that give me some hope that the height difference might not be that much of a problem?